I have mentioned it before- while using egg white in cocktails, you end up with oxidization of the egg white, which results: a wet dog directly in your nostrils. This smell is recognizable only of a small share of people - but I still think, that it is not an option to have, if 10-15% off guests would find a cocktail repulsive [it is not a matter of taste]. I would not use any powders etc. directly in a cocktail - rather I would accept the lack of the beautiful foamy head, which comes through egg white. However espumas [culinary foams] can be applied, with a little bit "chemical" magic. Before I tried to use different stabilizers with different results. 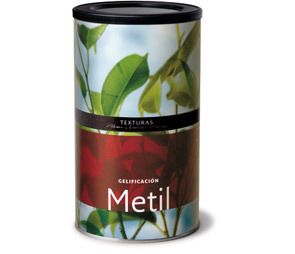 I thought that Metil has the biggest resemblance to egg white. Unfortunately it has a quite strong artificial "powdery" smell and aroma. Agar-Agar and gelatine are also two options - problem is, that both are solidifying, when getting cold [and the surface of a cocktail is pretty cold] and the perfect measure is very hard to do - either way the foam is not stable enough and too liquid, or it is too solid and floats on the liquid. Today by accident I stumbled over VersaWhip, which just might be the solution. In the eGullet forum, it got quite some support - but as opinionated I am, I will always believe only, when I tried myself. Stay tuned to see, if I will be able to get VersaWhip here in the UAE and how it fares against metil, gelatine/agar agar and egg white.